Planning for your loved one’s future includes handling legal issues, especially with an aging parent who is struggling with dementia. Because seniors often experience problems with decision making and intellect as the disease progresses, it is often up to a family member, domestic partner, friend or other caregiver to oversee legal planning. 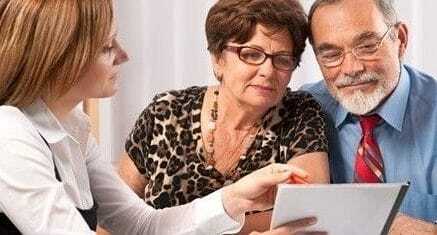 Some of these issues might include advising your parent about health care and their future insurance coverage, settling issues pertaining to their finances or estates, and perhaps most importantly, choosing a power of attorney to take over the decisions on their behalf once cognitive decline enters the late stages and your parent is no longer mentally capable of handling legal or money matters. According to the Alzheimer’s Association, you will first need to determine what kind of legal capacity your parent has. For example, if your mother is able to fully comprehend what a legal document is, then she probably has the ability to understand the logic behind these decisions and sign the papers on her own. Because there are varying degrees of mental capacity with Alzheimer’s and dementia, this can sometimes be difficult to ascertain. Yet in most cases, you should first find out whether or not your mother knows what is being signed and the consequences of doing so. If this process is still too difficult, talk to your mother’s physician about what he or she thinks should be done when it comes to your mother’s cognitive ability to handle legal matters. There’s also a chance that your aging parent may have difficulty letting go of control over personal finances. According to Aging Care, it’s important that you don’t allow these conversations to happen just once, as they tend to become emotional or even confrontational. Instead, keep up open and ongoing conversations on the matter so that your mother knows that she is involved in her future and long-term legal planning. If your aging parent is not able to fully comprehend his or her legal needs, then you will need to gather certain documents to help the decision making run smoother. This can include living wills, former powers of attorney, trusts and various insurance documents. In the later stages, it’s possible that your mother might not remember signing these papers, but it is still important to discuss these matters with her so that she can have a grasp of what is going to take place legally moving forward. According to PBS, there are several ways that you can try to find these documents if you run into roadblocks. One of these is the U.S. Living Will Registry, which can allow you to search through a database by state. Living will: This is a legal document that is an “advance directive,” according to the Alzheimer’s Association, meaning that it will clearly lay out how your loved one wants to be cared for in a medical setting once he or she becomes mentally incapacitated. For example, this can include your mother’s wishes about artificial life support, among other end-of-life care issues. After the document has been signed, there should be copies on file with your parent’s attorney, doctor and caregiver so that everyone involved with your loved one’s legal issues are on the same page. Standard will: Standard wills describe the executor and beneficiaries of the person with dementia. This can include identifying who will carry out financial matters of your loved one’s estate and the individuals who will receive the assets of the estate. Power of attorney: A power of attorney is designated as a way for your parent to allow a domestic partner, family member or friend to make financial decision for him or her once dementia or Alzheimer’s progresses and he or she is no longer capable to do so independently. With this document, the person with dementia is called the principal and the caregiver is named an attorney-in-fact or agent. This is one of the biggest decisions that your parent will face as dementia progresses. There is also a power of attorney specifically catered to health care matters moving forward, such as what types of facilities the individual prefers, which doctors and other medical professionals he or she wishes to see and the kinds of medications, therapies and treatments a patient wishes to take in the future. Legal documents can be a painstaking ordeal for a caregiver, but it is necessary to help your parent make these crucial decisions regarding their legal, financial and medical future so that he or she can ensure that these issues are handled appropriately. If you need a referral for legal or financial professionals please contact the Aegis Living community near you and ask to speak with one of our Marketing Directors.